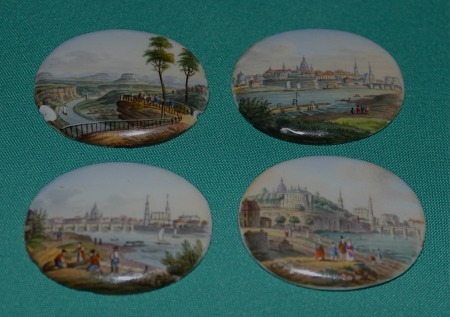 A set of four early 19th century Meissen Porcelain Miniature Plaques*, exquisitely painted with distant views of Dresden. 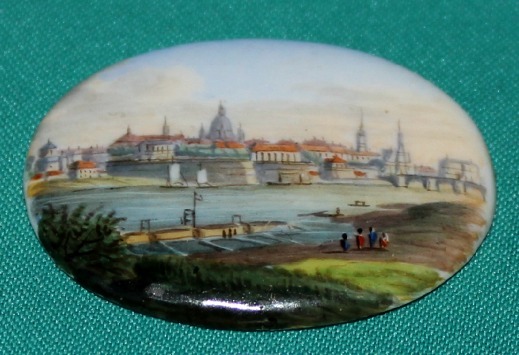 Dimensions: each plaque measures 3.5 cm x 2.5 cm. Condition: one plaque with small chips. 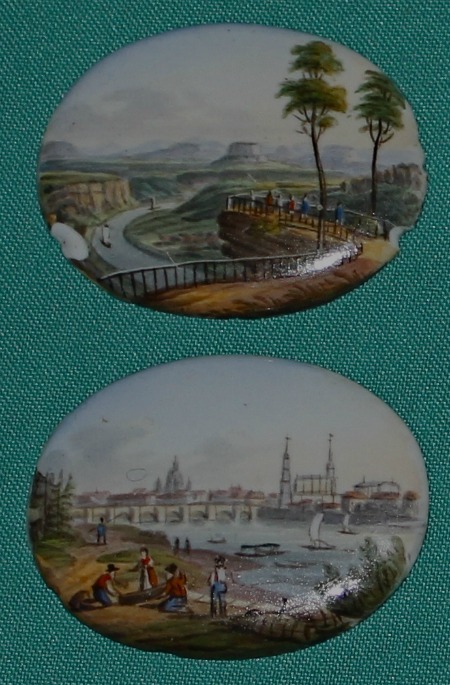 Painted crossed swords on the back c.1800-20. 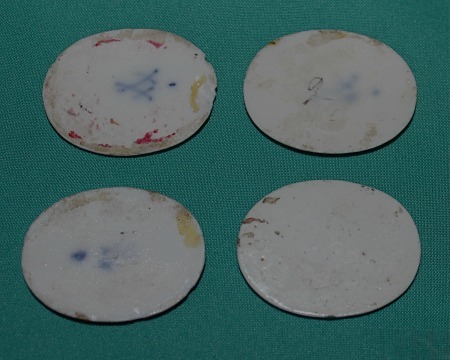 * These small plaques perhaps intended to be set into metal mounts for a piece of small furniture, a box or some small decorative souvenir of the period.